M. A. Abdu-Raheem | K. K. Eleja & Co.
Mr. Abdu-Raheem was admitted to the Nigerian Bar as Solicitor and Advocate of the Supreme Court of Nigeria in 2009 having satisfied the requirements to be so admitted. Mr. Abdu-Raheem was a legal officer with the Nigerian Prisons, Lagos from 2009-2010 during his National Youth Service Scheme. He was exposed to rendering of legal advice on prison decongestion to the prisons authority. He later joined the law firm of Adeoye, Ademuwagun & Co. in 2010 as a junior counsel and subsequently rose to the position of a senior counsel. 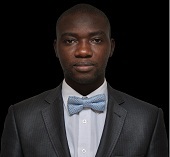 In the early part of 2012, Mr. Abdu-Raheem left the law firm of Adeoye Ademuwagun and joined K.K. Eleja & Co. as a legal practitioner. Mr. Abdu-Raheem has in the course of his career represented corporate and individual clients in various Courts of record in Nigeria and Election Petition Tribunals.